If you were injured in a semi-truck accident, we can help you obtain the compensation to which you are entitled. We have some of the best personal injury and trucking accident lawyers in Washington and Idaho. Our team is dedicated to helping put your life back together. 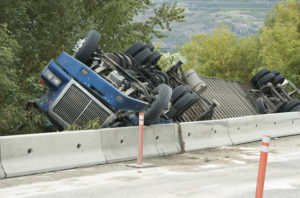 Both Idaho and Washington are tort states for truck accident claims. Some states are no-fault states. In these states, you make a claim against your own insurance policy. Tort states are just the opposite. You make a claim against another driver’s insurance policy. Whoever was at fault for the accident (or negligent) pays for the other party’s damages. In the case of big rigs and other large trucks, it is not the driver of the truck who is responsible. It’s the company who employed the driver. While this company carries a large insurance policy, the truck company is not enthusiastic about seeing claims made against their policy. Neither is the insurance company enthusiastic about satisfying a claim against their client’s policy. 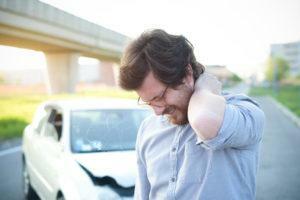 Often, you end up having to battle both in order to see that your injuries and property damage are paid for. A skilled truck accident lawyer can help. There are in place federal laws that govern the trucking industry. The Federal Motor Carrier Safety Administration enforces these laws at the federal level. Since trucks operate across multiple jurisdictions, it makes sense to have one federal regulatory agency establish guidelines for the industry. The majority of these laws can be found in Title 49 of the Code of Federal Regulations. Their purpose is to establish safety guidelines so that truck accidents don’t happen. In addition, new technologies that monitor the truck’s cargo and driver are proving effective at reducing accidents. Nonetheless, accidents still happen and they happen largely when trucking companies attempt to skirt these regulatory guidelines. When that’s the case, the trucking company is guilty of negligence and liable for any injuries they cause to either a person or their property. This includes wrongful deaths lawsuits involving the death of an individual who is involved in an accident with a negligent truck driver or their company. Trucking accidents happen every day. Sometimes the accident is not the driver’s fault. Sometimes it is. What are some of the most common reasons for accidents caused by negligent trucking companies? Sometimes, otherwise good drivers cause accidents on the road. Maybe they don’t see a car in the lane they’re attempting to merge into. Maybe the weather played a significant factor. Other times, trucking companies employ drivers who should have never been given their CDL. In fact, trucking companies have been known to employ drivers with a suspended or revoked CDL. Sometimes the driver never had a CDL to revoke. In other instances, drivers may find themselves overworked and fall asleep at the wheel. They may abuse over-the-counter stimulants to help them stay awake. They may abuse illegal stimulants to do the same. Distracted driving is also accounting for a growing number of traffic accidents. Commercial trucks travel thousands of miles while hauling tons of cargo. The potential for wear and tear on the tires, engine, breaks, and other key systems is immense. When a company cuts corners by failing to maintain their vehicles the odds of causing a major traffic accident go up significantly. It’s not always the trucking company’s fault when their equipment malfunctions. Sometimes their manufacturers have engineered a defective piece of equipment that doesn’t hold up under constant pressure. This can result in major accidents as well. In that case, you can sue the company that designed the equipment instead of the trucking company. It goes without saying, but trucks are large and they move quickly. Truckers need to predict when they’re going to stop sooner than those in smaller vehicles. When their tires don’t gain enough traction on slick or icy conditions, the potential for an accident increases greatly. Nonetheless, a skilled driver can manage these conditions, so when an accident occurs the trucker is ultimately at fault regardless of how bad the road conditions are. Something that most people don’t consider is the way in which the trucking company loaded the cargo. When the weight is not evenly distributed or properly tethered to the floor bed, this greatly increases the chances that the truck will capsize when making a turn. It also can cause loads to fall off the truck creating multi-car accidents. That’s why there are rigidly enforced rules governing how the trucking company loads cargo, restrictions on weight, and limits to a single load. When trucking companies attempt to maneuver around these regulations major accidents can happen for which they are entirely liable. Company which manufactured the vehicle, tires, or component parts that ultimately were responsible for an accident. Company or individual responsible for shipping or loading the truck’s cargo. Your trucking accident lawyer’s job is to prove that the trucking company, its driver, or the company that manufactured the truck’s component parts is responsible for the accident. This requires an investigation. Typically, the National Transportation Safety Board (NTSB) steps in and conducts a thorough investigation of major accidents that result in serious injuries, multi-car accidents, or fatalities. Their findings are generally considered to be authoritative. Nonetheless, that does not prevent truck accident lawyers from conducting their investigation. Generally speaking, a trucking accident lawyer can reach their findings much quicker than the NTSB, which moves at a very methodical pace. In other words, we ensure that insurance companies and trucking companies cannot shift liability to you — the injured party. Fielding Law Group has significant experience in trucking accidents, ensuring that you have the best chance of a favorable outcome. We are proud of our record of satisfied clients and believe that you will also be pleased with our work. If you have incurred significant medical bills or lost wages, we will make sure that you receive compensation for your expenses. Further, you may also be able to recover compensation for your pain and suffering. Don’t try to negotiate with the trucking companies on your own. You cannot trust them — or the insurance companies — to have your best interests in mind. You need a trucking accident lawyer who can take on the trucking companies and the insurance companies to come out with a win. Wherever you are located in the Washington or Idaho, contact us today and we’ll advocate your cause. At Fielding Law Group, we will start working on your case today for FREE! If we don’t win a settlement, you won’t pay a dime. Our team of attorneys and legal professionals are waiting to help you. The sooner we start working on your case, the quicker we can get you the settlement you deserve. Contact us here. Many insurance adjusters work persistently to deny and devalue your legitimate claims. At the law offices of Spencer Fielding, we ensure justice through the preservation of your rights and work diligently to get the settlement you deserve.